One of our INFANT (ANSeR) collaborators Prof Mats Blennow has recently been interviewed by 99nicu.org, an is an independent and international Internet community for neonatal staff. Why did you choose to go on this mission to Jordania? Since many years I have wanted to broaden my views on paediatrics and neonatology to other settings than working in a tertiary NICU in a high-income country, preferably by working for some NGO. The reputation of MSF is highly respected by everyone. For example, in a survey in Sweden, more than 50% of the responders expressed high confidence in the work MSF provide in more than 70 countries. The MSF charter stating the organisation is to provide medical help irrespective of race, religion, creed, or political convictions and doing this observing neutrality, impartiality and independence is to me fundamental. The fact that my current mission is in Jordan is primarily not from my own choosing. Signing up to work for MSF, I had full confidence that the organisation would send me on an important mission. What is it like to work there? What are the largest similarities and differences compared to the NICU you normally work at in Sweden? The work has many similarities, but also differences, to the work I usually do in Stockholm. The national staff is well educated with very good theoretical and practical knowledge. Nurses and doctors work together, although the emphasis on teamwork is not as strong as in Europe. The organisation of health care is not as developed as back home, and a lot of attention needs to be given to organise for referrals to tertiary units, to follow-up clinics and for more advanced tests and examinations. For example, when I first arrived here we did not have access to blood cultures. Due to this, many infants with only risk factors for early onset infections were given full courses of antibiotics despite no clinical signs of infection. 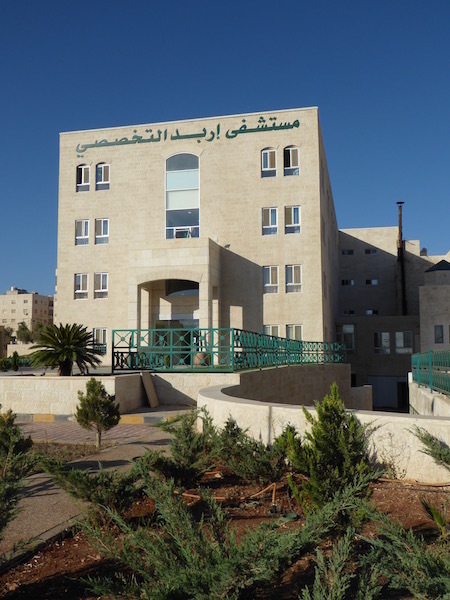 Consequently, this resulted in prolonged stays in the neonatal unit and mother-child separations as many families live far from Irbid and have several children at home needing attention. Another difference is the access to respiratory support. My primary task was to start CPAP care in the project, which was successfully started after 2 weeks. Before that, infants with any respiratory distress were given nasal cannula oxygen with FiO2 of 1.0 and rather high flow rates. Perhaps the biggest difference however was the nursing care of the infants. 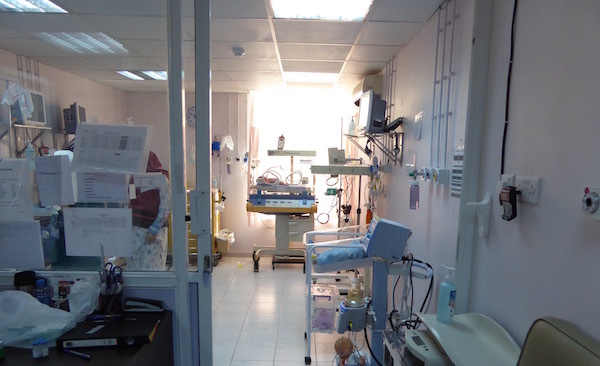 I was lucky to be able to recruit a neonatal nurse expat, and together we worked hard to implement as many elements of developmental care as possible, including reducing ambient noise, covering incubators, nesting and supporting the infants position, and clustering of blood sampling. We also managed to expand the area of the neonatal unit with 2 additional rooms allowing mothers to remain with their babies 24/7 in the unit.